Thanks to the great experience and certification as a Cloud Accelerate Partner, Migesa Microsoft Solutions delivers cloud projects of high quality and of benefit for the customer, taking the concept of the Cloud to a new level and generating a big impact on the business world. Office 365 is the most complete suite of collaboration and communication tools of its kind, as it includes everything needed to make business processes more efficient. It is a subscription service of cloud hosted tools that provide access to email, document sharing, communication and collaboration virtually from any place and device*. Use your web browser to create, view and edit Word, Excel, PowerPoint and OneNote files online. Open, create, and share documents remotely or simultaneously. Install Office Professional Plus in up to 5 devices per user. Edit files of Office 2011 and 2013, and in Office 2008 and 2011 for Mac. Edit files online from any device with Office Web Apps. Connect with other users through instant messaging, video calls and online conferences. Obtain real-time data: photos, availability and locations. Improved instant messages to connect effectively. Voice calls from your equipment to Lync users from your organization or from other organizations using Lync. Create, moderate and join audio and video conferences. Edit online presentations using screen sharing and virtual whiteboards. Connect to everyone, even if they are not Lync users with Lync Web App. Email use through Outlook, shared calendars and contacts of the highest level on your computer, phone and Web. Access to shared calendars and contacts from anywhere with your computer, browser or phone. 50 GB mailboxes and attachment delivery of up to 25 MB. Access your email from virtually any phone or device with Outlook Web App or Exchange. Allows you to create sites to share documents and information with colleagues and clients. Update the members of your company with news and information. Manage projects and documents with members of your organization from the same platform. Invite external users to work on projects, files and other data. Share documents quickly, with or without internet connection. Switch to Office 365 today! 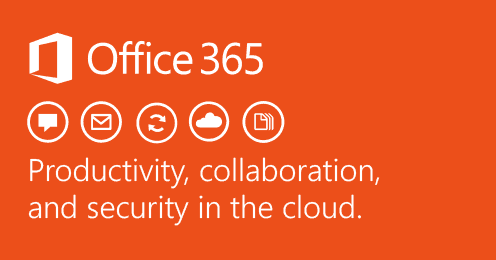 Learn more about the benefits of Office 365 and find the ideal plan for your organization.